After the extraordinary accomplishment of taking a gross 220″ buck with a 196” net typical in 2010, Jack Brittingham was able to follow up in 2011 by harvesting another 220 plus whitetail at Rancho Encantado. Entering into the season we were a little skeptical on how the deer would turn out, given the extreme drought conditions plaguing the entire South Texas region. Our doubts were immediately put to rest after I gathered up the first round of cards from our digital cameras. I had to pause a minute when the first image on my computer screen showed the mature buck we call Dumpy. It was August and he still had a lot of growing to do but there was no question he was an absolute giant. With 40 plus inches of mass, 25 inch spread and what looked to be 18 scoreable tines there was no mistaking the decision to target this buck. “Let’s dump him” was the subject on the email I sent to Jack and he was understandably on board with the decision. 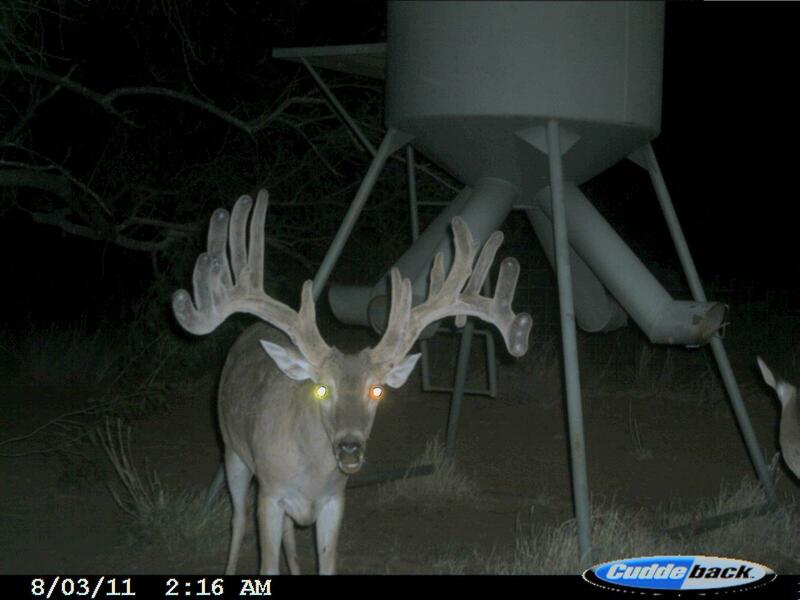 With the warm conditions early in the season locating the buck was impossible given his nocturnal tendencies . By mid November Jack had hunted for the deer but all attempts left him empty handed. Finally, in the first week of December Dumpy was on his feet and starting to rut. This was great news but with the unpredictable wind directions archery hunting the buck was proving to be a difficult task. 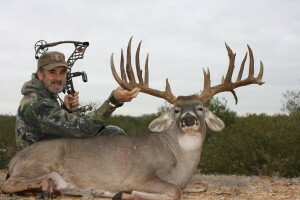 On December 9th after several weeks of hunting Jack was thrilled to add the massive 223” buck to his collection. Please take time to browse through our updated website. 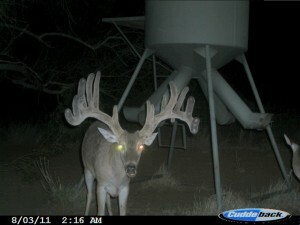 Congratulations to all of our hunters that visited us during the 2011 season. We are looking forward to seeing you again in the future. Best of luck to everyone and most importantly Happy Hunting!